The conclusion of the 40,000 nautical miles around “island earth” of the double-hulled Hawaiian canoe, Hokule’a, has finally arrived to its final destination, coming back to its original Homeland, into Ala Moana Beach Park on Saturday, according to radio New Zealand. Joyful crowds were present to welcome back the seafarers, after their long journey, navigating mostly in the traditional way : finding their path trough the tumultuous waters of our mighty Ocean during 3 years and visiting about 150 ports in 27 countries, solely powered by the wind and guided by the stars. Navigating in the old fashioned traditional Polynesian way, gazing at the stars. 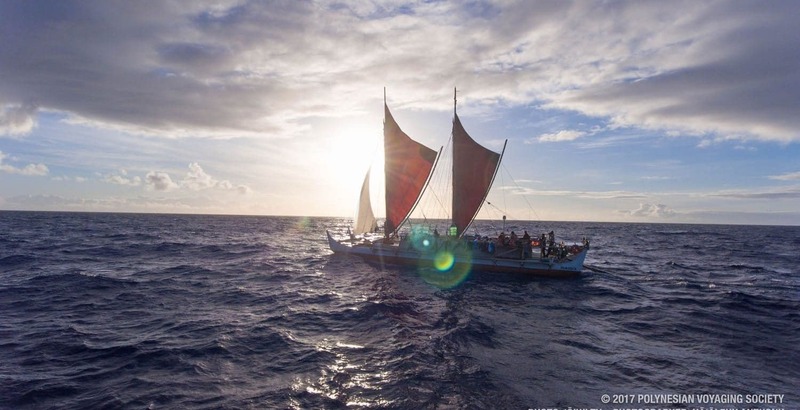 The goal was to spread an ecological message, and promote Hawaiian traditional culture and old Polynesian navigation techniques, the ones who helped our oceanic forefathers to reach the multitudes of emerged lands, scattered around the Pacific. 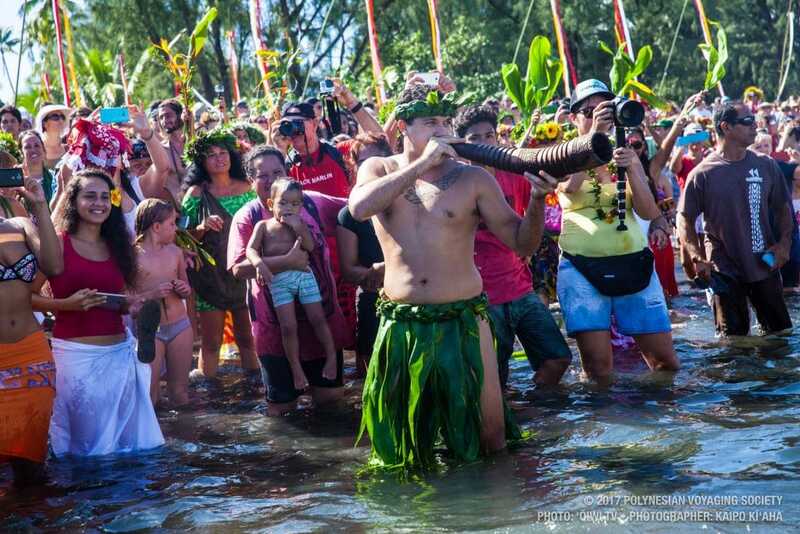 Hokule’a is welcomed in Mahina, during its passage in the island of Tahiti. About 250 sailors relayed to navigate Hokule’a at different times during this adventure. The whole crew was welcomed with flower leis, in a pure Polynesian fashion, and with traditional songs especially written for the event. 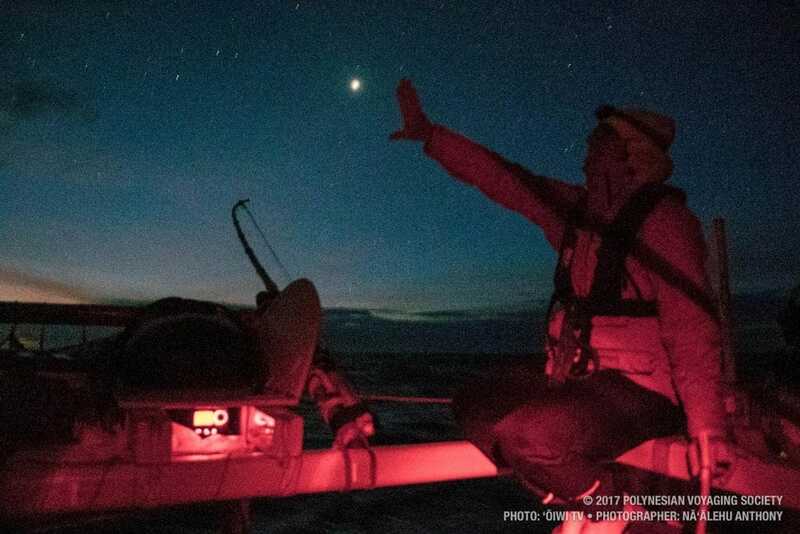 More on the trip and climate change, experienced by Jenni Ishii, a female navigator apprentice member of the returning crew of Hokule’a.